Did you run into the “Briefly unavailable for scheduled maintenance. Check back in a minute” error when trying to access your WordPress site? Errors like these are frustrating – but don’t worry! Fixing the “Briefly unavailable for scheduled maintenance. Check back in a minute.” error on WordPress only takes a couple minutes. What Causes the “Briefly unavailable for scheduled maintenance” Error on WordPress? Whenever you use the built-in WordPress update system in your dashboard to update the core software, plugins, or themes, WordPress puts your site into something called “maintenance mode” so that it can safely update the relevant files. While your site is in maintenance mode, anyone who tries to visit your WordPress site will see the “Briefly unavailable for scheduled maintenance. Check back in a minute” message. So in actuality, the message itself is not an error – it’s supposed to be there…just only for a short amount of time. 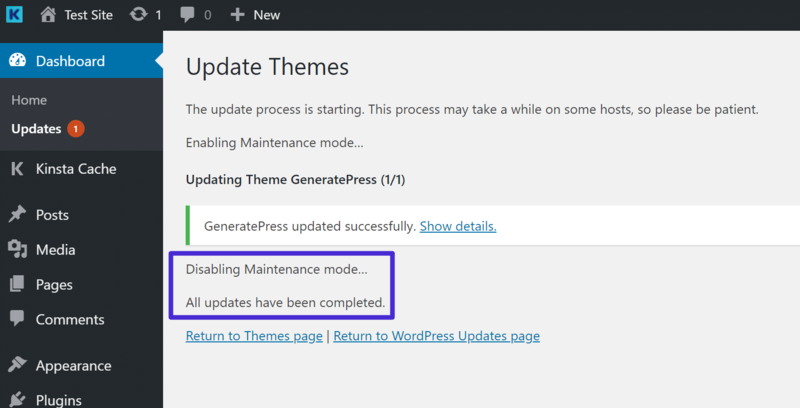 Normally, WordPress seamlessly enables maintenance mode, performs the update, then disables maintenance mode. Most of the time, the process is so seamless that it only takes a few seconds and you never even notice a change in your site. However, sometimes your site gets “stuck” in maintenance mode. That’s when the “Briefly unavailable for scheduled maintenance. Check back in a minute” message starts to become a problem because it doesn’t go away and prevents you and others from accessing your site. You closed your browser tab in the middle of an update. You tried to update a ton of different themes/plugins at the same time and something stalled. There’s some compatibility issue with an update that caused the glitch. Thankfully, fixing the “Briefly unavailable for scheduled maintenance. 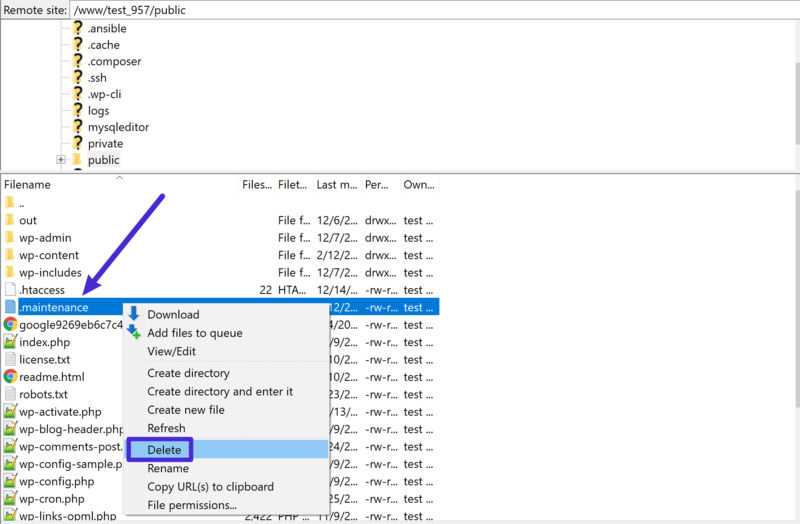 Check back in a minute” message on WordPress only requires you to delete a single file via FTP. 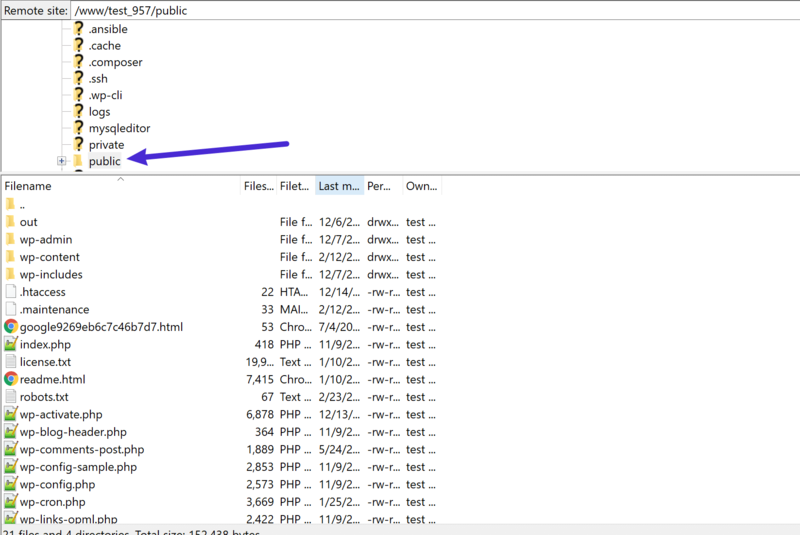 In order to put your site into maintenance mode, WordPress adds a file named .maintenance into your WordPress site’s root folder (this is the same folder that houses your wp-config.php file). To take your site out of maintenance mode and get rid of the “Briefly unavailable for scheduled maintenance. Check back in a minute” message, all you need to do is delete that .maintenance file. To get started, you’ll need to use an FTP program to connect to your WordPress site via SFTP. 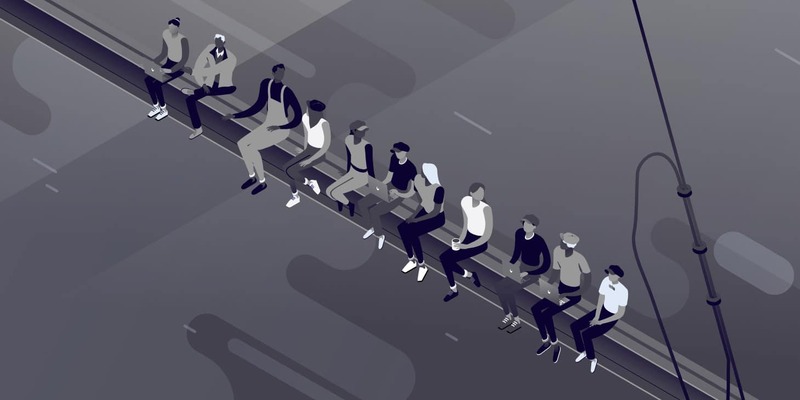 You can find your Kinsta site’s SFTP credentials in your Kinsta dashboard, and here’s a detailed guide on how to connect to SFTP at Kinsta if you need some help. That’s it! As soon as you delete the file, your WordPress site should start functioning normally. Here are a few tips to help you avoid encountering this issue in the future. Once you see that message, you can safely close the tab. Try to limit the number of updates you run at a single time. For example, update themes and plugins as they become available, rather than waiting to do them all at once. Kinsta’s staging sites and automatic backup functionality make it easy to quickly test updates and roll back if you encounter any compatibility issues. Beyond decreasing the chances of getting stuck in maintenance mode, regularly updating your site is just generally a good way to keep it secure and functioning. 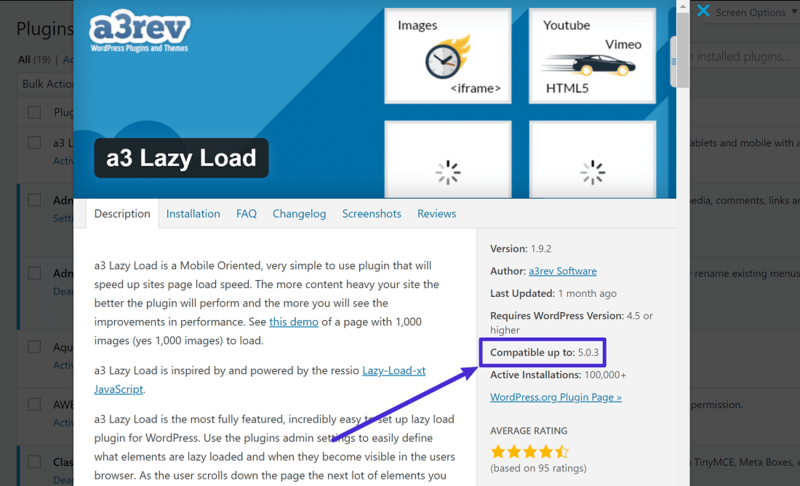 Before you run any updates, make sure that the theme or plugin you’re updating is compatible with the version of WordPress that you’re running.